Want to keep your car looking its best for as long as possible? Of course you do! And the good news is that when you do this, you’ll be rewarded down the line. 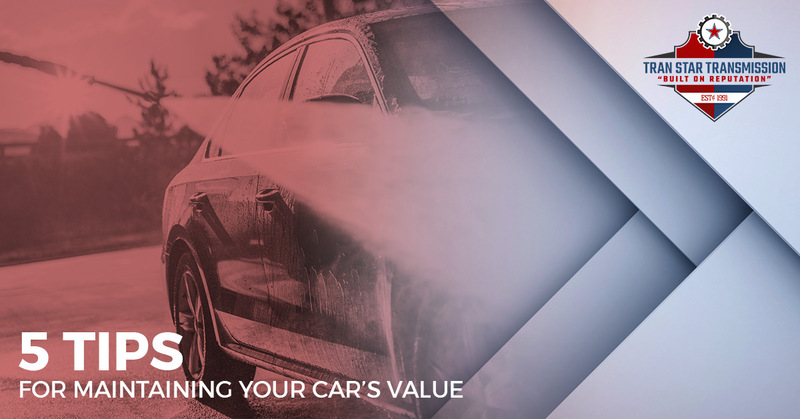 How you care for your car is directly correlated to the price it will command when the day comes to part ways with it. Regardless of the year, make, or model of your vehicle, one thing remains true: by taking preventive measures and adhering to routine maintenance, you can help slow down your vehicle’s rate of depreciation. With a little time and attention, these tips can make all the difference when it comes time to sell your vehicle. How does your garage look? Is it packed full of old gear and mementos that wouldn’t even go noticed if they went missing? If this is the case and this stuff is keeping you from having a place to store your car, you may want to consider a re-prioritization. Vehicles are expensive. Outdoor elements — sun, rain, hail, wind, the neighbor’s cats — can damage your vehicle. Keeping your automobile in a garage, protected from the outside world, can make all the difference in the long term. Hey, what’s that noise coming from under my car? Sounds expensive. Better turn up the jams. If you have ever had this thought or could see yourself having this thought, rid it from your head now. When your car makes a noise, it’s akin to when your body gives you a symptom — it’s a sign that something is wrong. And unlike your body, vehicles don’t have a self-healing immune system. When you experience a noise or problem with your car, get it to an auto shop and heed the advice of experts. Car problems tend to be progressive in nature. This means that what may seem like a tiny problem can actually become a big and costly problem when not properly dealt with. Two ways to ensure that this doesn’t happen are to get your car regularly tuned up and to address any problems as soon as you notice them. As owners of a transmission shop, we can certainly attest to this. Ignoring something like a transmission fluid leak, for example, can evolve into a damaged transmission that ultimately needs to be replaced. Smoking can leave behind stains, burns, discoloration, and truly stubborn odor. Although smokers tend to get used to this odor, all it takes is one non-smoker to enter a car and point out just how strong the smell can be. Also, since only around 20 percent of the U.S. population smokes, this means that you have an 80 percent chance of a non-smoker being the potential buyer of your car in the future. Chances are that the non-smoker is not going to be eager to give you top dollar for your smokey ride. Cars are built to last. This is true of the interior and exterior. The interiors, for example, are generally designed to be as stain-resistant as possible. However, to get the most out of this built-in resistance, it takes some effort on your part. When you spill something on your seats, don’t wait to clean it up. Don’t look at it and think, “huh, that stain is the same color as my carpet. Eh, it’ll be fine.” Your car’s interior is not meant to withstand long-term exposure to stains. When you spill something, clean it up immediately using stain-specific methods and cleaners. Need transmission services? Stop by our Houston transmission shop. For over 25 years, we have been providing Houstonians top-notch transmission services, including repairs, rebuilds, replacements, fluid changes, and much more. Contact us today to learn more or stop in for your free transmission diagnostic check.